Voices of Bond is a spectacle like no other. 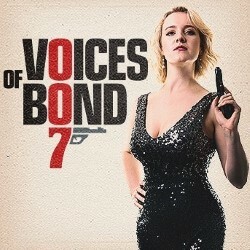 Fresh from a sell-out run at Edinburgh Fringe 2018, sensational vocalist Phoebe Katis invites you on a journey following the captivating world of 007 and the voices that have accompanied this story over the last five decades. Katis delivers, with unparalleled passion, electric renditions of hits such as Diamonds are Forever, License to Kill, Nobody Does it Better and Skyfall. With a live band comprising some of the country’s finest players Voices of Bond is a show you won’t want to miss.